Endometriosis occurs when the lining of the uterus attaches to surrounding organs and tissues causing varying degrees of pain and infertility. 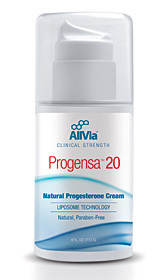 Bio identical progesterone is now a widely known successful safe treatment. Bio identical progesterone will help bring this condition under control by reducing the effect estrogen has on these sensitive tissues. Since we know that estrogen initiates endometrial cell proliferation and the formation of blood vessel accumulation in the endometrium, the aim of treatment is to block or proportionately decrease this monthly estrogen stimulus to the aberrant endometrial islets. Bio identical Progesterone stops further proliferation of endometrial cells and starts the healing process of the cellular damage to the endometrium and other hormone sensitive tissue. ProSoothe II is an all natural herbal formula that significantly improves uterine fibroids and pelvic pain/cramps, irritability, tension, mood swings, acne, headaches, breast pain, bloating and weight gain. This synergistic herbal formula has dandelion and vitex,(chaste tree) that helps the body remove exogenous,(external excess estrogen)from hormone therapy, contaminated food from herbicides and other environmental hormone dysruptors,(xenosteroids). Evening Primrose Oil has been called the most sensational preventive discovery since vitamin C. It contains the pain relieving compound phenylalanine and is increasingly being used to treat endometriosis. Evening Primrose Oil contains a high concentration of a fatty acid called GLA and it is this fatty acid that is largely responsible for the remarkable healing properties of the plant. In fact, Evening Primrose contains one of the highest concentrations known of this important substance and only a few other plants contain it at all. This makes Evening Primrose an important medicinal herb, and as studies continue, the list of benefits will likely become much longer. The gamma-linoleic acid, linoleic acid and other nutrients in this oil are essential for cell structure. These fatty acids also help to regulate hormones and improve nerve function aiding problems ranging from PMS to migraine headaches. The hormone balancing effect contributes to healthy breast tissue by reducing hormonal over stimulation as found in endometriosis and fibrocystic breasts: By interfering with the production of inflammatory prostaglandins released during menstruation, the GLA in evening primrose oil can help to lessen menstrual cramps while control endometriosis-associated inflammation.